Create ingenious bridge constructions from girders, ropes and streetsegments to bridge a way to the destinations. 3d.Bridges gives you real engineering and 3d construction into the hand, using an especially invented perspective only interface. No need of 3dimensional thinking. You can staple boxes? then try constructing bridges. Draw the bridge then test it in the physics world on its stability. Build wise as the ressources are limited -or see your work collapse. Take seat inside the truck and steer it over your bridge as the engineer intented. 41 Levels: 6 Tutorial Levels extensive explain the functionality. 29 Campaign Levels with leveltasks rich in variety. More than just gorges in different length. 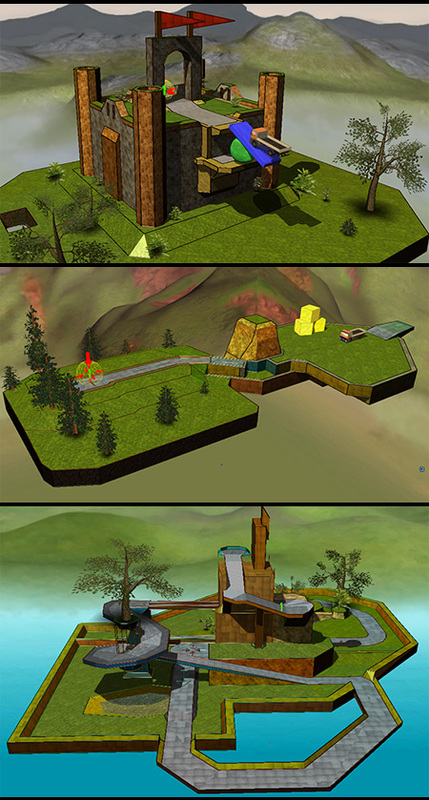 6 Playground Levels with lots of ressources for free construction.